After waiting for the release of the new 2015-2020 Dietary Guidelines by almost an extra month (they were supposed to be out in December, but delayed until January 7, 2016), I was pretty sure the anticipation might kill me. Luckily I made it and although I don't think the new guidelines are perfect, I was pretty happy about a few major points. 1. In their opening statements, the US Department of Health & Human Services and the US Department of Agriculture did acknowledge "About half of all American adults--117 million individuals--have one or more preventable chronic diseases, many of which are related to poor quality eating patterns and physical inactivity. These include cardiovascular disease, high blood pressure, type 2 diabetes, some cancers, and poor bone health." I don't think enough Americans are aware of this fact, and I am grateful it was acknowledged by the these governing bodies, which will ultimately help increase awareness and hopefully, action. While exercise is definitely an important part of optimal health, I think they put a little too much importance on physical activity. In their table looking at the percentage of Americans following physical activity recommendations per age group, every group between ages 18 and 74 has increased in the last 5 years, although not by a ton. But the question still remains, if there is measurable increase in physical activity, but that did nothing to halt or even diminish the rates of the number one and two killers in the United States, shouldn't we talk a bit more seriously about how closely these are tied to nutrition, or the lack thereof? Speaking of which, the Guidelines also rate the "Healthy Eating Index" score of the US population as a whole, which measures the adherence of the population at large to the diet recommended by the government. And believe it or not, that number has drastically "improved" by about 10% as well. So why aren't these improvements reflected in a decrease in morbidity and mortality? Is it that the general guidelines aren't promoting the healthiest diet? By many, it is fairly well accepted that the Dietary Guidelines Advisory Committee (DGAC), among other government groups, has had a lot of pressure from industry that supports and subsidizes a lot of the foods for government funded programs, like kids'school lunches for example. 2. The quantitative limit for cholesterol was not included this time around, but they clarified that "this does not suggest that dietary cholesterol is no longer important to consider." The Guidelines do come right out and say "people do not need to obtain cholesterol through foods." And then go on to say that, "As recommended by the IOM [Institute of Medicine], individuals should eat as little dietary cholesterol as possible," which basically is a fancy way of saying zero, right? As little as possible, and we don't need it? Yeah, pretty sure cholesterol should be zero, or very close to that. Cholesterol is only found in animal products: meat, eggs, dairy, the like. But plants, like vegetables, fruits, whole grains, and legumes, don't have any. I remember having a near panic-attack last year when realizing that ONE study was swaying the minds of the Dietary Guidelines creators to remove concerns about dietary-to-blood cholesterol levels. First of all, that's not what the study said. And second, even if they published what they thought was true information, the article would have been grossly misinterpreted by the general public to stop worrying about cholesterol in their diets. That would be even more devastating than our current situation, in which heart disease takes over half a million lives each year. Cholesterol in any excess (note: our bodies make what we need) contributes to LDL deposits in our blood vessels, eventually creating plaques, inflexible arteries, and narrowings or clots that cause heart attacks. 3. The Guidelines do have an inclusion for a vegetarian and vegan eating pattern, seen here, which is nice to know we've been acknowledged as having not just a nutrient-sufficient diet, but a nutrient-dense one. Vegetarians and vegans can meet all macro-nutrient (calorie) requirements without a problem, but their pattern of eating is much much higher in micro-nutrients, and the Guidelines even admit that to some degree. 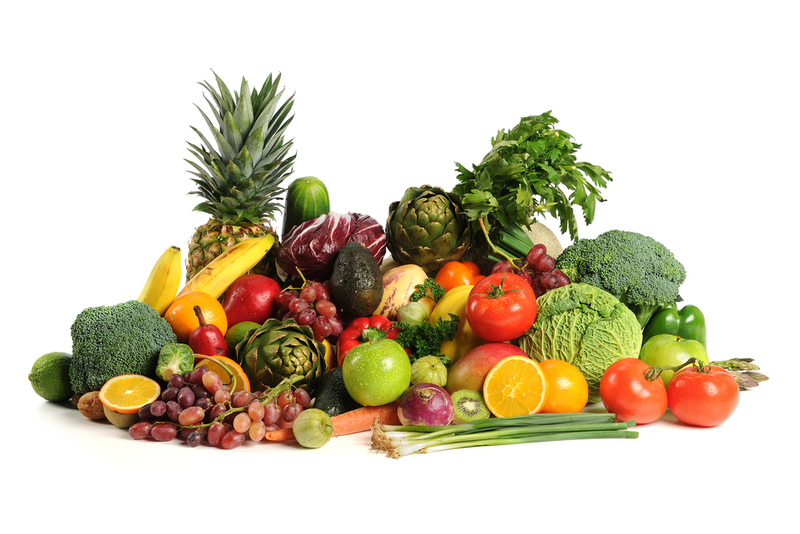 Micro-nutrients include vitamins, minerals, phytochemicals and fiber. Of course, I'm referring generously to vegetarians and vegans here as those that are consciously eating from whole plant sources, not processed foods and trans fats. Overall, was it a win? No. But it's a small step in the right direction. Bring on the next five years and hopefully we'll have made more than a dent! !